I am not a veteran I am a past patient of yours. Couldn’t find any place on the website for past patients. I have had the hepatitis A and B vaccines, will that protect me. Wow. This isn’t Dr. Cecil’s website. I tried every treatment before Havoni but never cure Hep C, and was out of options. I got into the Gilead study for Havoni and zero virural load after the first week. A year late I got liver cancer and nine months later I got a transplant. Now HepC free and feeling great. Take the treatment, it is one or two pills a day and no side effects like Inertfon. Treatment with Harvoni should be at least 12 weeks for someone who failed interferon treatment NOT four weeks. If the VA wants to treat you for only 4 weeks please let us know. Harvoni has few side effects but ( this is IMPORTANT), it can cause heart problems in rare cases, so if you have a history of cardiac problems or take heart medication, you should first be evaluated by a cardiologist before starting Harvoni. Harvoni can also cause hepatitis B and previous cancers to come back. So if you’ve had hepatitis B in the past then you will need to take another medication so the hep B won’t come back during the time you’re taking the Harvoni. Yes, there are risks, but the new meds have a very high success rate. So if you want to treat, now is the time to do it. Let me know if I can answer any other questions about the meds or treatment. Mail your letter to him at the Address on his website with your personal STRs to review and any evidence of intercurrent disease and the txplant info. He needs it there to help you. Many ask and he is inundated. If he has the records and your email address there , he can turn to it instantly and do itwhen he has a spare moment. I have never known Dr. Cecil to blow anyone off yet..
I’m very sorry. I didn’t mean to come a cross as “a sounding board”. I though Dr. Cecil could tell me how my son could get some medication for his Hep C.
I personally would contact Gilead Science for patient financial assistance. Another site is PAN or Patient Access Network. VA facilities here in the US are beginning to receive the new Harvoni drug for genotype 1A. The First two can help your son get the drug either free or at a greatly reduced price. VA will put him another waiting list. Too many Vets chasing too few pills. Dr. Cecil, my son lives in Germany, has been waiting months to get an appointment with the doctors at the VA. Travel time takes 3-4 hour to reach the facility, and several months before you can get an appointment. Once you get in to see doctors The facility is only open for service 3 hours, which is not sufficient time to see all the servicemen overseas. 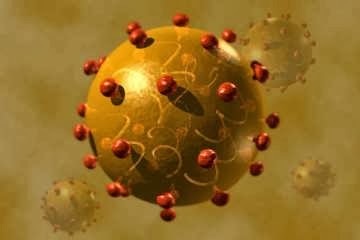 My son has hepatitis C(contacted in the Persian Gulf). He submitted a claim for hepatitis C which was denied last year. He was here 2 years ago and seen at the VA Facility in Long Beach. However, because he live in Germany he could not be treated or given medication. He is still waiting for his appointment overseas. He will be coming here to the State in two months and will be going back to the Long Beach Facility seeking treatment. Any change of him getting medication when he returns to State? Dr. Cecil has his own website. We use him for nexus letters, not a a medical sounding board. If your son has a need for help with his claim contact me at asknod@gmail.com. Dr Cecil, I had elevated liver function test on all my private physicals since 1971 to 1993 when it turned out to HCV. I have spent the last twenty years trying every treatment approved by the FDA. I watched drinking and taking OTC drugs which effected your liver but the disease never went away. I now have stage 5 cirrhosis and a claim pending on HCV. 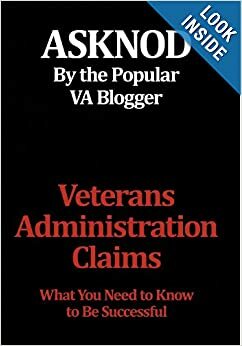 The VA has yet to give me a answer on my case. What should I do? This is a comments section.. Click on the purple words that say “hepatitis doctor” above to link to Dr. Cecil’s website.Thank you. Does anyone know how to email Dr Cecil? I have stage 4 chirrosis and hep C. I have been denied twice for a claim that I got Hep C from the jet/air guns or some other source in Vietnam. I didn’t find out that I had it until about 3 years ago. I did use some intravenous drugs about 4 times maybe 5 but I couldn’t stand needles and I never ever shared needles with anyone. I am on the transplant waiting list and have been for about 1 1/2 years. any help you can give me would be much appreciated. John, in the end, the sharing of needles is immaterial. If you shot up, then it’s willful misconduct. That’s what will sink your claim. Unless you have a Purple Heart, a Combat Action Ribbon, A Combat Infantryman’s Badge or Bronze/Silver Star, you’re going to be out of luck. If you had combat medal to prove combat, you get the presumption of blood exposure. I was a helicopter repairmen. I did have blood exposure from cleaning out Helicopters when someone got shot. We didn’t get gloves or masks or anything it was all we could do to get them flying again. My time of service was 1966 to 1969. I was in country 1967 to 1968. I drank and did drugs for about 20 years afterwards. I was always depressed and didn’t know why. But never expected the veterans admin to fess up to anything that happened over there. I figured I just had to keep going. I couldn’t hold job or marriages together. I have now been sober and clean for almost 30 years. So because I was honest I get penalized for it. Saw washdowns as a contract fire fighter Camp Falcon Iraq. The IED/EFP made hell for those inside. Bring in the engine moble water resupply, rescue for lighting and saw it in person. So blood was everywhere as were other things. thank god for hcv-vet/nod/dr. cecil/dr. ahmed after seven years I won my hcv case, it would never have happen without the assistance from this website. and the faith, one must have the faith. Dr. Cecil saved my life as well, I’m not a Veteran, just a mom with 2 kids and 5 grand kids to enjoy. I believe in aggressive action when faced with a death threat, thank God there are Doctors like Ben Cecil Kathi Kerr. I love this awesome Blog ASK NOD, you are changing lives and we need more people like you !